DETROIT -- Some of America's most popular cars and trucks are made in Mexico - for now. Many Americans have benefited from Mexico's emergence as a production hub. Low-cost production helps keep sticker prices lower on vehicles such as the Ford Fusion and Nissan Sentra. But Mexico's growing share of the auto market is a sore spot for President Donald Trump, who has threatened to impose border taxes on Mexican imports to force companies to make cars in the U.S. Under the North American Free Trade Agreement, Mexico's share of North America's vehicle production has risen to 20 percent from 3 percent three decades ago. It's expected to hit 26 percent by 2020, according to LMC Automotive, a forecasting firm. The Ford Fusion hybrid is displayed at the North American International Auto Show, Monday, Jan. 11, 2016, in Detroit. Dodge Ram pickup trucks are lined up for sale at Bill DeLuca's dealerships in Haverhill, Mass. The Ram pickup is Fiat Chrysler's best-selling vehicle. Fiat Chrysler makes some Rams at its 79-year-old truck plant in Warren, Michigan, a suburb of Detroit. But it has also made them in Saltillo, Mexico, since 1995, the year after NAFTA went into effect. The Ram 1500 pickup starts at $26,395. The Silverado pickup is General Motors Co.'s best-selling vehicle. Most Silverados are made at plants in Flint, Michigan, and Fort Wayne, Indiana. But four-door crew cab versions are made at GM's assembly plant in Silao, Mexico, which opened in 1995. 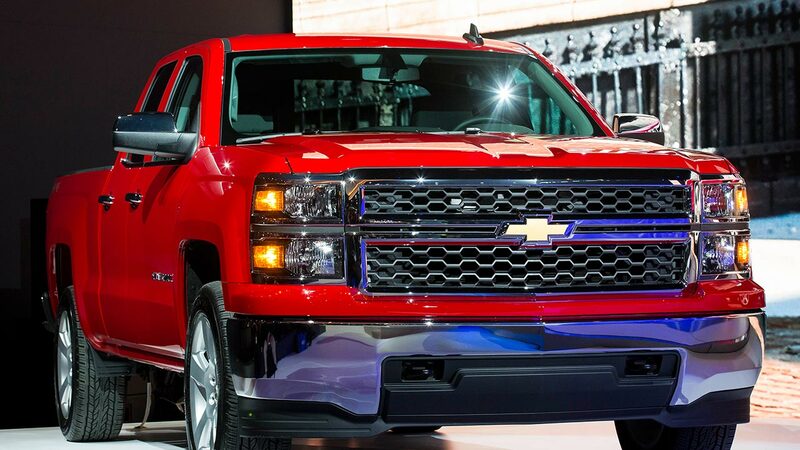 A Silverado crew cab starts at $36,840. The 2016 Nissan Sentra is debuted during the Los Angeles Auto Show Wednesday, Nov. 18, 2015, in Los Angeles. The Sentra small car was made in Smyrna, Tennessee, from 1985 to 2000, when it was moved to Aguascalientes, Mexico, so the Smyrna plant could make SUVs. Since then, Nissan Motor Co. has built a second plant in Aguascalientes to make Sentras for global export. Nissan is Mexico's market leader and the biggest automotive manufacturer in the country, with total production of 848,086 vehicles in 2016. The Sentra starts at $16,990. Nissan introduces Versa Note SR during the media preview of the Chicago Auto Show at McCormick Place in Chicago on Thursday, Feb. 6, 2014. The subcompact Nissan Versa went on sale in the U.S. in 2006. It's made at one of Nissan's two plants in Aguascalientes, Mexico. The Versa starts at $11,990. The Jetta small car is Volkswagen AG's biggest seller in the U.S. It was made here briefly in the late 1980s before Volkswagen closed its plant in Pennsylvania. When Volkswagen built a new plant in Tennessee in 2011, it was intended for larger vehicles like the Passat sedan. Volkswagen has been making the Jetta in Puebla, Mexico, since 1993. In 2016, Volkswagen had the highest percentage of Mexican-made U.S. sales among major automakers, at 32 percent. The Jetta starts at $17,895. The 2014 GMC Sierra debuts in Pontiac, Mich., Thursday, Dec. 13, 2012. Ford reintroduced the subcompact Fiesta to the U.S. market in 2010. It's built at a Ford plant in Cuautitlan, Mexico, that opened in 1964 and used to build pickup trucks for the Mexican market. The Fiesta starts at $13,660.